The Thermos brand has been around since 1904. BLANCHESTER — Thermos has announced a partnership with Allen/ColorCraft of Blanchester and with Compass Promos to expand their reach into the promotional products market. Allen/ColorCraft, a leading supplier of drinkware in the promotional products and collegiate markets, will be distributing Thermos brand vacuum-insulated food and beverage containers within the promotional products industry for the United States and Canada, effective January 2019. For the laser-engraving component on Thermos brand promotional products, Thermos L.L.C. is reinstating their partnership with Compass Promos. Thermos is the world’s leading manufacturer of portable vacuum-insulated food and beverage containers sold under its flagship Genuine Thermos Brand, stated a media release. Since 1904, Thermos is the brand consumers have trusted to provide durability and consistent quality, providing the assurance of safe, compliant products across all product lines, the release added. From vacuum-insulated travel mugs and food jars to carafes and pump pots, Thermos prides itself on cultivating products known and trusted for merging a timeless technology with modern day materials and mechanisms. Both Allen/ColorCraft and Compass Promos have been working in the promotional products industry for 60-plus years, and mirror the Genuine Thermos Brand sense of heritage and trust, the release stated. Thermos is anticipating higher growth in the promotional products industry with this blended partnership approach. 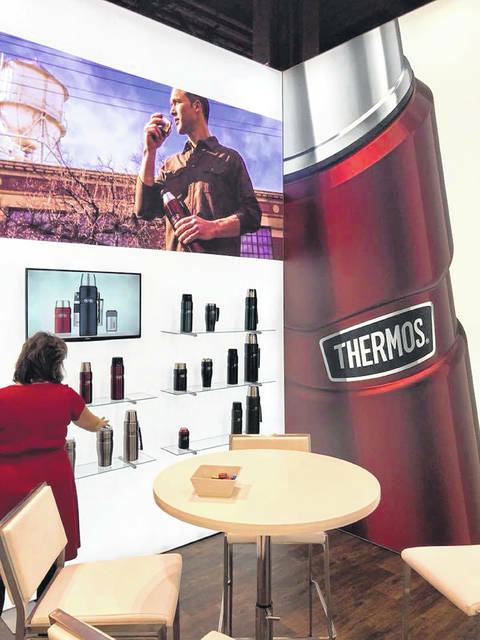 “As Thermos continues to grow in the promotional products industry, partnering with leading promotional product suppliers such as Allen/ColorCraft and Compass Promos would help further promote that growth,” said Julie Ryan, senior vice president of sales and marketing for Thermos L.L.C. “Allen/ColorCraft and Compass Promos have award-winning, proven track records of providing excellent customer service and high quality designs for over 60 years. We are excited to see where these new partnerships take our brand in the promotional products industry,” Ryan added. Allen/ColorCraft is a leading supplier of drinkware in the promotional products, collegiate, licensed, outdoor retail and housewares markets. Allen/ColorCraft is internationally recognized for outstanding design and state-of-the-art technical accomplishments, and the Allen/ColorCraft line has won 36 international decorating awards over the past 12 years as well as the prestigious Promotional Products Association Supplier Star Award. For more information about Allen/ColorCraft, please visit the company’s website at www.allenmugs.com . You can also find Allen/ColorCraft on Facebook and Twitter.